Conifer Canine is your source for professional dog training! 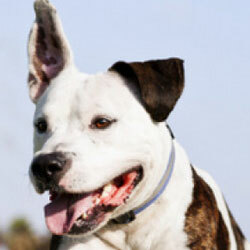 We employ certified trainers who have proven their skills in training a variety of dogs. We welcome all dogs: large or small, mixed or purebreds, problem dogs or those who just need some tuning up. Basic and Advanced Obedience including an online course. Police Dogs including training of dogs, handlers, and K9 supervisors. 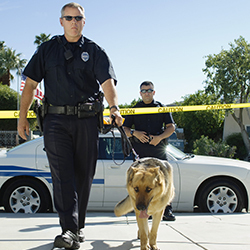 Security Dogs for special events, executive protection, explosives detection, and security teams. Scent Detection including drug dogs, bomb dogs, bed bugs, arson, guns/ammo, cancer detection and more. And a school for dog trainers, the Dog Trainer College. Conifer Canine is a leading dog training venue in the Midwest. Our exceptional services are located near Spencer, Indiana. We are within easy driving distance of Terre Haute, Greencastle, Bedford, Martinsville, and Indianapolis. Clients travel hundreds of miles to enroll their dogs in one of our premier training modules. We literally serve the US from coast to coast. Become our next satisfied client – contact us today! Conifer Canine and/or the Dog Trainer College is recognized by the State of Indiana, the Veterans Affairs, the Indiana Law Enforcement Academy, the Association of Professional Dog Trainers, and the American Police Canine Association. 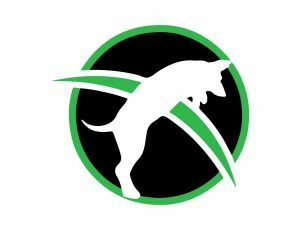 Conifer Canine’s Dog Trainer College hosts a variety of students seeking to become a dog trainer on a professional level. Our courses are college-level with a focused concentration upon dog training. Certification from the Dog Trainer College bears an air of quality and professionalism seldom seen elsewhere. Well-rounded schools for dog trainers are few and far between. You will be hard-pressed to find another school in the nation who is as comprehensive or as focused as the Dog Trainer College. International students are welcome. Financing and lodging are available. The College is located near Spencer, Indiana. For those who simply cannot attend in person, we also offer the Behavior and Obedience program as an online course. The Dog Trainer College teaches the skills you need for the career you want! Summer semester begins July 1, 2019. The deadline for both enrollment applications and financial aid applications (including VA education benefits) is June. Space is limited. Reserve your place today. Apply now! Summer Semester for the Obedience, Protection, Master Trainer, Service Dog Trainer begins July 1, 2019. The start dates for the K9 Instructor, Scent Detection, and Cadaver Detection courses is April 15 and August 12, 2019. Fall Semester begins Sept. 30, 2019. Spring Semester begins March 2, 2020.